John Coker is a 30-year veteran of the hospitality industry. He is also a noted speaker on public health and nutrition for corporations and universities across the United States. Currently, John serves as senior vice president of supply chain management for the Compass Group of North America. Previously, he led AVI Foodsystems as chief creative officer and executive vice president of corporate strategy for more than 12 years. 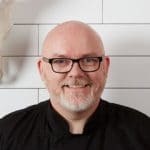 With over 25 years of culinary experience working in casual and upscale dining establishments, Chef Brandon Cook has spent the last 18 of those years working side-by-side with Corporate Executive Chef Bob Okura and David Overton, the CEO and Founder of The Cheesecake Factory. In more than 30 years in the restaurant, from the white table cloth restaurants at the Four Seasons Hotel to the Drive-Thru at McDonald’s, Chef Dan has created and articulated a culinary vision that inspired real change in food quality, brand trust and all while driving the business. 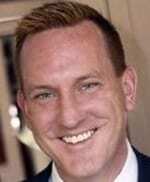 Chef Dan is now the Managing Partner of Coudreaut & Associates | Culinary Solutions, a Culinary Consulting practice helping food Companies get the most out of their Culinary Teams.